Seventy years ago this Sunday, work began on what would become thousands of mass-produced homes, in what would turn into one of America’s prototypical suburban communities: Levittown, NY. Thousands of New Yorkers were eager to make the trip, many of them from the crowded boroughs of New York City. Those homebuyers were part of a mass migration from urban centers that shaped the country for decades. In 1951, Louise Cassano’s parents were among them. Young men were coming back from World War II and looking to start families, putting pressure on available housing stock. Cassano says her parents’ landlord was intent on harrassing them out of their home in Bay Ridge to make room for family members — not allowing a washing machine, breaking a glass door at the bottom of the stairs to make it seem like a break-in. Cassano’s father was a city firefighter, but they made the trip anyway leaving the city behind. What they found wasn’t exactly paradise. “Very little culture,” says Cassano, who was a young girl when her family made the move. Their church shared space in municipal center Levittown Hall. Her father commuted for nearly two hours a few times a week for his 72-hour shifts back in Red Hook. Her mother couldn’t drive, and there were few shopping centers in the sprawling planned development. They were lucky that one of the town’s telephone booths happened to be on their block. The trees that the Levitt family had planted were still striplings, growing slowly on what had been potato fields. These are some of the downsides of suburban existence that many Americans now acknowledge. And that existence wasn’t open to everybody. In early contracts, the creators of Levittown included a restrictive covenant “not to permit the premises to be used or occupied by any person other than members of the Caucasian race.” “White flight” from places like NYC landed in places like Levittown. Today, Levittown is less white than it once was, with a 12.1 percent Hispanic or Latino population and 6.6 percent Asian. But African-Americans only make up approximately 1 percent of the hamlet’s population, according to the American Community Survey. Many factors contributed to the creation of Levittown and the suburban revolution. Government loans and wartime savings helped (white) veterans afford houses, allowing even middle-class city residents to look beyond. New highways and parkways paved the way. Builders like the Levitts began using construction techniques (some also used by another well-known developer, Fred Trump) that got houses built cheaply and quickly — every 16 minutes at construction’s height, proverbially. And there was also the search for “a form of Jefferson’s Monticello,” says Thomas Campanella, a historian of city planning at Cornell University. The romanticization of open space and property to call one’s own dates back to the Founding Fathers. In the Levittown houses, you could have a little space, and also the ability to tinker or even add extra rooms to the simple houses to make them yours. This possibility was glorious for families like Cassano’s, who also turned some suburban isolation into positives — neighbors running across the street for milk or sugar, the one mother who knew how to drive doing so for the rest, helping each other to raise kids who had free reign in the new streets. These were the benefits weighed against the long commutes, the traffic, and — despite some increased cultural opportunities — the continued isolation. 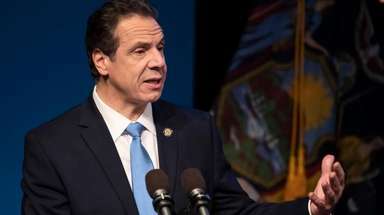 Meanwhile, cities like New York struggled with the loss of tax dollars from those who left, in addition to fewer jobs, a lack of federal investment and ensuing crime. Parts of the five boroughs became places to escape. Yet that has changed today, with NYC safer than it has been in decades. The neighborhoods which the suburbanites left now offer jobs and amenities that attract their grandchildren. No need to rely on cars to reach restaurants, bars, parks or shows when you have a functioning and safer subway. Yet those attractive neighborhoods are getting more and more expensive, pushing a new generation of residents out. They’ll have to go somewhere, and places like Levittown may have to continue adapting to attract them, with denser housing and more transportation options than were deemed necessary 70 years ago. “I think suburbia is going to survive,” she says.